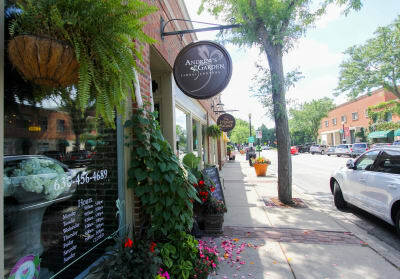 Andrew’s Garden will become a favorite Downtown Wheaton shop as soon as you walk through the door. 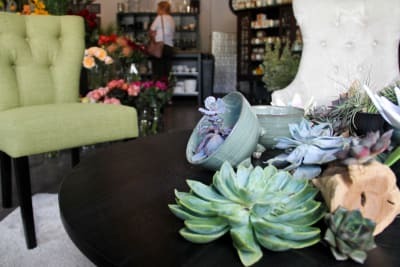 This European garden-inspired Floral shop will instantly wow you with their abundance of fresh, beautiful flowers and special merchandise. 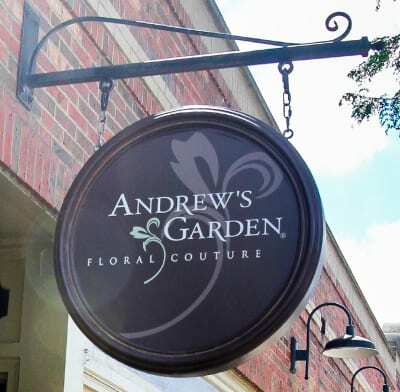 Shopping at Andrew’s Garden is an interactive experience; you simply point to the flowers you like and watch them craft it into a masterpiece from start to finish. ​ Andrew and Tonya are proud Michigan State University alumni. 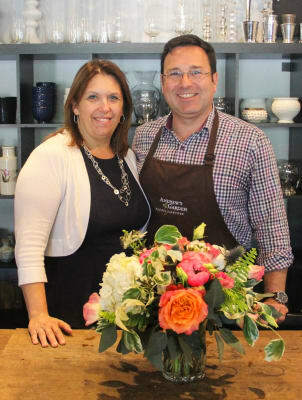 After receiving his Horticulture/ Landscaping Design degree and a few years of landscaping experience, Tonya encouraged Andrew to pursue his true passion. 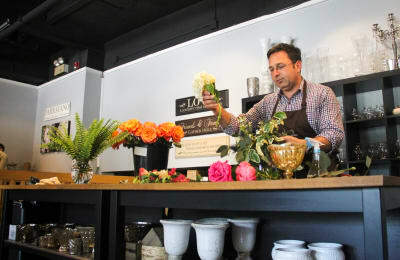 They started their event floral business in 2009 and opened their Wheaton retail store in 2013. 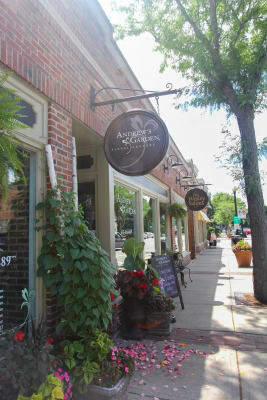 Since opening, they have loved getting to know the local Wheaton residents and businesses. 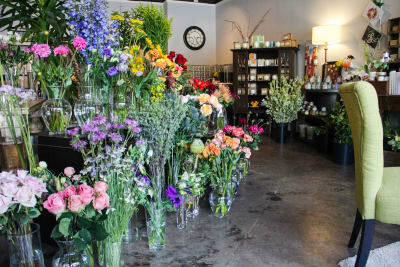 ​ As a customer, you can choose from a wide variety of flowers. They are hand-picked from Ecuador on Sunday and in the shop Tuesday ready to be turned into a beautiful creation. 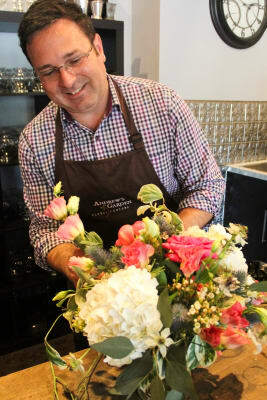 Andrew and his team will work with you on making the perfect style and the arrangement can be delivered anywhere- locally and nationally! They’ve done a wedding in Florida and even arranged for flowers to be sent in New Zealand. 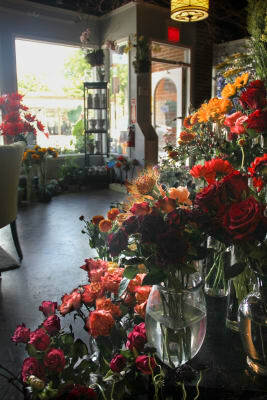 Whether you’re an individual or business, if you appreciate premium flowers with a personal touch Andrew’s Garden is the florist for you. 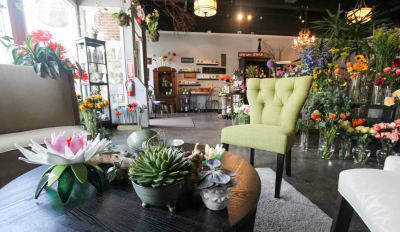 Business offices will look much brighter and happier with fresh flowers on display. Also make sure to ask about joining their weekly subscriptions. 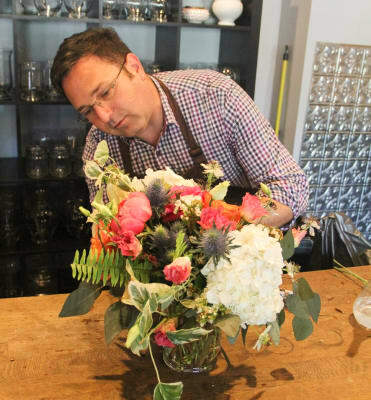 ​ We asked Andrew and Tonya for any advice they would have for a new florist. They emphasized being true to your own style, working on building relationships with your customers, and making sure you are honestly passionate about it. 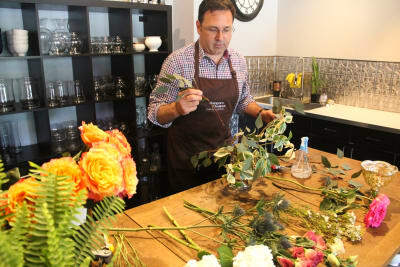 Their answers reflect their core business values and just from talking with them, it is easy to see that they live out each of those values daily through their floral shop.